Trike Cover - Bigger is Better!!! - when it comes to motorcycle covers. The Bike Barn Trike Model motorcycle cover has a spacious inside width of 72" great for your custom trike bike conversion. A typical trike conversion has a maximum width of 60" but there are numerous other styles that need the additional width of the Bike Barn trike cover and now they can also fit inside. Keep your trike out of the elements with a Bike Barn Trike Model motorcycle cover, the ultimate bike shelter for your ride. 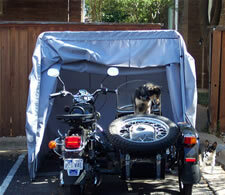 Sidecar Cover - Sidecars are taking the market by storm. 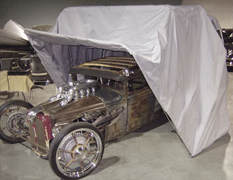 Sidecar motorcycles now have an alternative to the typical cloth cover due to the additional width of the Bike Barn Trike Model sidecar cover. Now the driver and the passenger can be warm and dry when they pull inside! How's that for privacy. 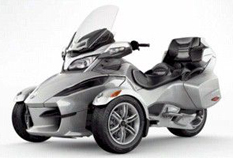 The innovative three-wheeled roadster that reinvented the ride is covered by the Bike Barn Trike Model motorcycle cover. 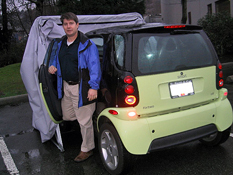 Smart Car Cover - The Bike Barn Trike Model continues the brilliance of the Smart Car with a compact efficient cover to keep your Smart Car safe and dry. Our Trike Model fits golf carts to a tee! 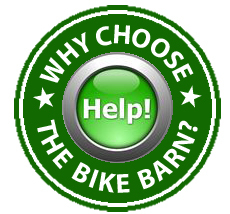 Whether it's for commercial or personal purposes, the Bike Barn can fit your storage needs. 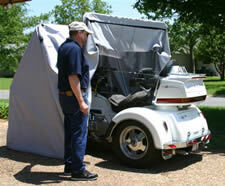 We are proud to offer the Trike Model motorcycle cover that fits trikes, sidecars, golf carts, Smart Cars, and more!. This item is also available in Alaska, APO Asia, APO Europe and APO Guam, Channel Islands, Europe, Hawaii and Republic of Ireland. 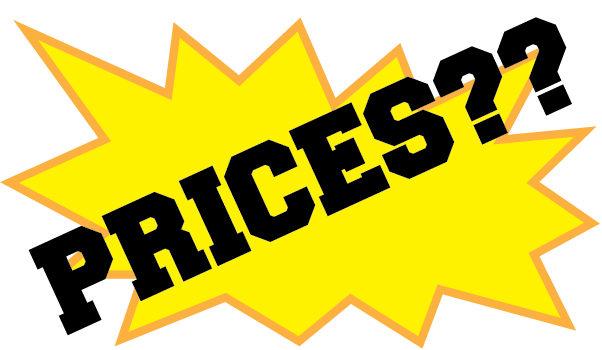 Order your ride in trike cover, sidecar cover, Can-AM Spider Roaster cover, Smart Car cover, or ATV cover from Bike Barn now!